A senior official from the United States came to Hualien to express the thanks for the work of the Tzu Chi Foundation in his country and read a letter from President Barack Obama to mark its 50th birthday. Saturday April 30 was the 50th anniversary of the foundation; a ceremony was held in the Jing Si Hall in Hualien. To bring his blessings, Mr. David L. Myers, director of the Center for Faith-based & Neighborhood Partnerships at the U.S. Department of Homeland Security, attended the ceremony. Tzu Chi has spread its footprint in the U.S. since 1989. In October 2012, Hurricane Sandy devastated New York and New Jersey. Tzu Chi volunteers immediately mobilized, to provide hot meals and other services. The following year, the White House honored Tzu Chi Foundation as Hurricane Sandy Champions of Change. Good afternoon. My name is David Myers. 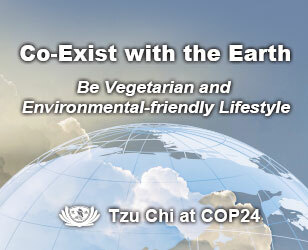 It is a great honor and privilege to join with you on the occasion of Tzu Chi's 50th anniversary. Thank you, Dharma Master Cheng Yen, for the gracious and generous welcome you have given to me. I also want to express my warm appreciation for my hosts—Deborah, Lisa, Susan, and Jackie for your generosity and attentiveness since I arrived in Taiwan on Wednesday. Thanks, too, to the many drivers who have given their time and vehicles. I have come here to bring greetings from President Barack Obama. 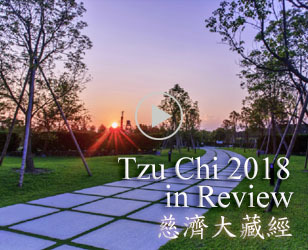 Before I read his letter, I want to say a few words about my experience with Tzu Chi in the United States and here in Taiwan. In the United States, Tzu Chi's history of commitment to disaster survivors is well-known. 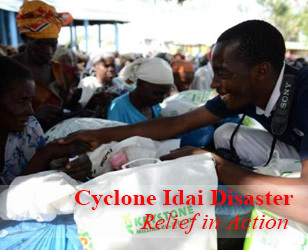 Alongside other faith-based and voluntary organizations that respond to disasters, Tzu Chi provides food, shelter, clothing, emotional and spiritual support, and cash assistance to individuals and families regardless of who they are. It has done so with love and compassion in many disasters and emergencies throughout the last 20 years, and continues to do so. Even today, along with other organizations, Tzu Chi volunteers are helping survivors of floods throughout the American Gulf Coast. Thank you, Tzu Chi, for being there for so many Americans over the years with such compassionate, sensitive, and glad hearts. Here in Taiwan, I have learned how the same spirit in Tzu Chi volunteers infuses hospitals, medical schools, businesses, recycling centers, human services, and communication centers. Volunteers as young as five and as old as 90 give of themselves. You make no distinction between the value of contributions -- volunteers sorting plastic bottles and heart surgeons. Between those of humble means and those of great wealth. All of you, each in your own way, contribute to the greater good for the sake of humanity and for the sake of our earth. Along with other groups and other volunteers, because of your love turned into action, the world is a better place. And now, I bring you words from President Obama. I extend my best wishes as you celebrate the 50th anniversary of the Buddhist Compassion Relief Tzu Chi Foundation. By mobilizing dedicated volunteers across the globe to aid those who need it most, organizations like Tzu Chi are shaping a future that reflects the shared purpose and common ideals that bind humanity together. As long as each of us, as citizens of the world, endeavor alongside one another in pursuit of the mission, I know we can bring about enduring progress—in our time and for generations to come. You have my warm regards as you mark a half-century of service and look toward the possibilities of tomorrow.